So, this dress came in 2 colors and I bought it in both! 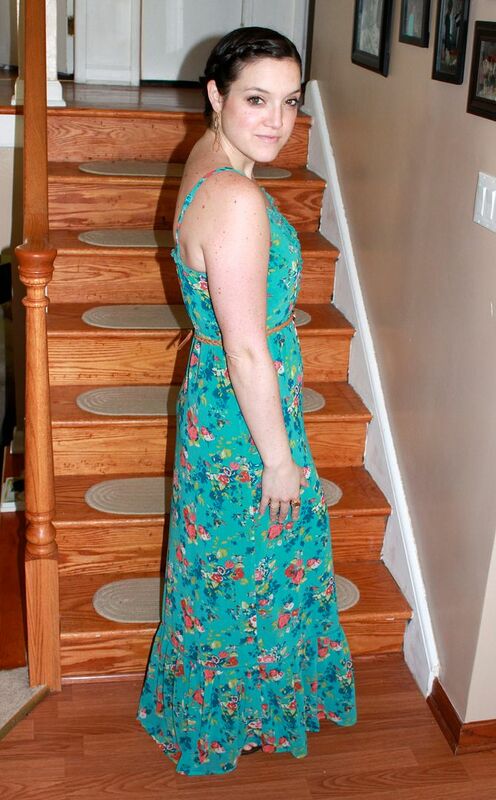 I just love a good maxi dress! It's casual enough to replace the sweats as everyday wear, but nice enough to add some great accessories and go out wearing it! On this day, I chose to jazz it up! I hope everyone enjoyed their Memorial Day! I spent the first half of the day running through sprinklers with the kiddos and my hubby and the second half at a family party for my grandpa. All and all, it was a wonderful day! 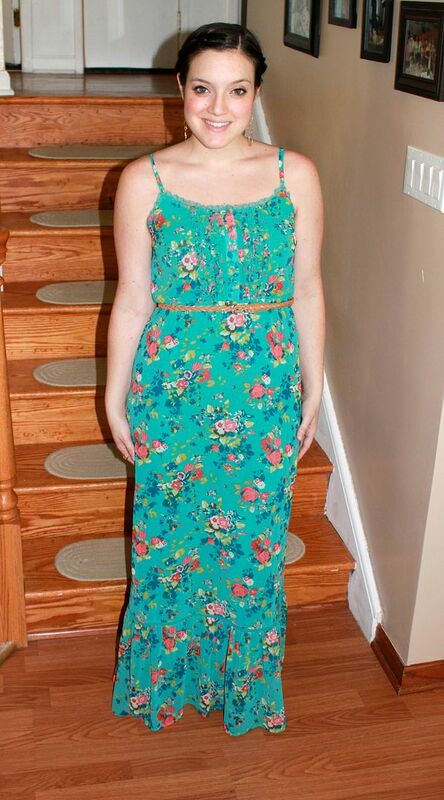 You have the best collection of maxi dresses! So cute! Love your dress! In fact, I love your whole look!!!! That dress is so Beautiful! I Love your hair too! What a beautiful dress! I love you hair too! You're so pretty! 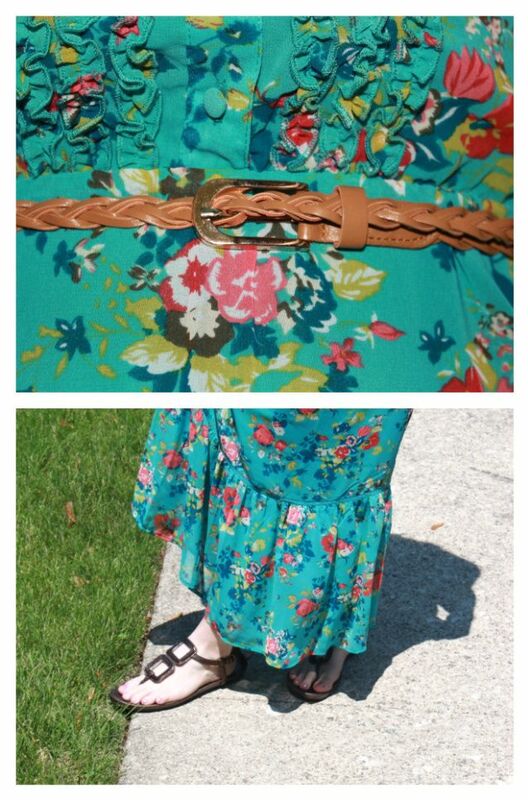 Memorial Day was really hot so you had the perfect outfit for it. I love the little buttons and ruffles on the dress! What other color did it come in? oh my goodness I love that dress! You always have the most amazing maxis! find something you love...buy it in ALL colors!! i do the same! this one is such a pretty color! love the hair do! Such a lovely color for summer! Thanks!! I the other color it came in was purple! For my hair, I just did french braided pig tails and then made a bun with the 2 braids in the back. Super easy and super good for the humidity! Hii, new follower, from the uk, so glad i found your site, i am also a mummy who's addicted to fashion and have started a blog to vent about both! So lovely to meet other mums who have same interests.